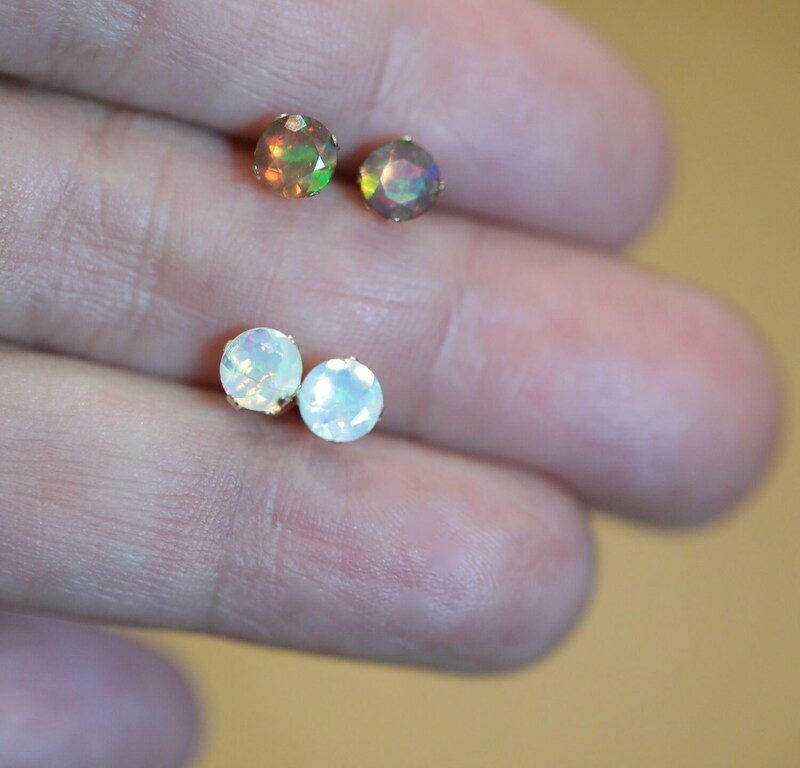 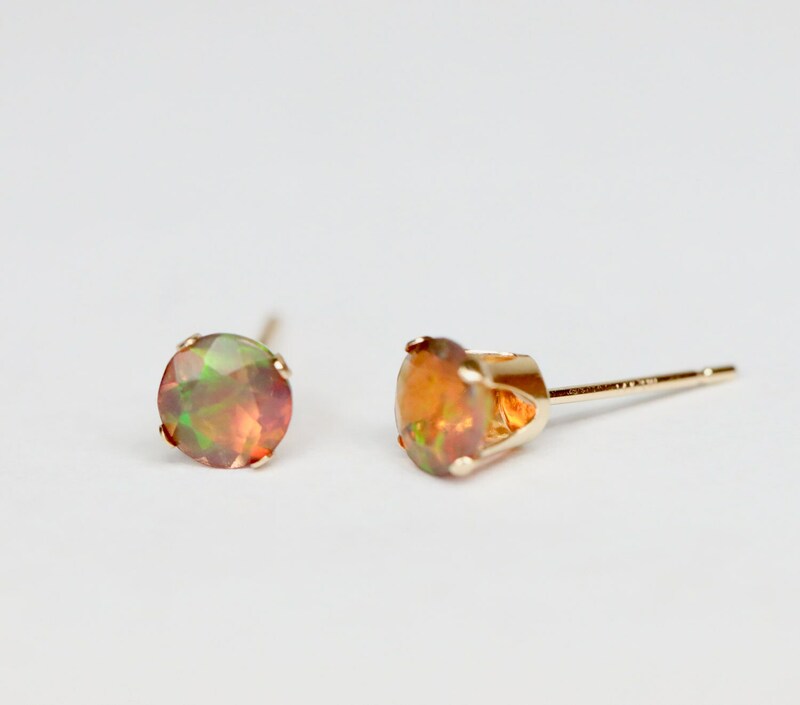 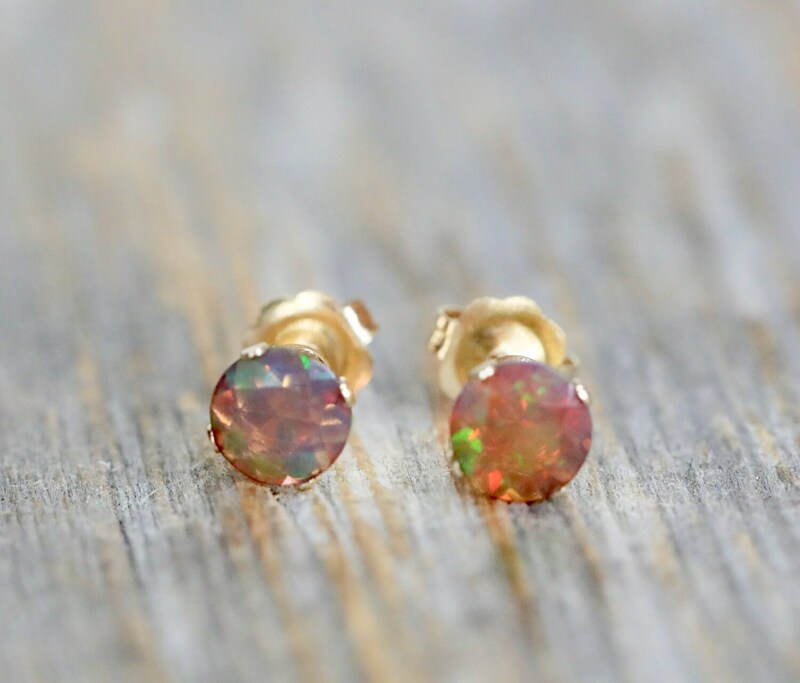 These beautiful 5mm black Ethiopian opal gemstone studs are prong set in solid 14k gold. 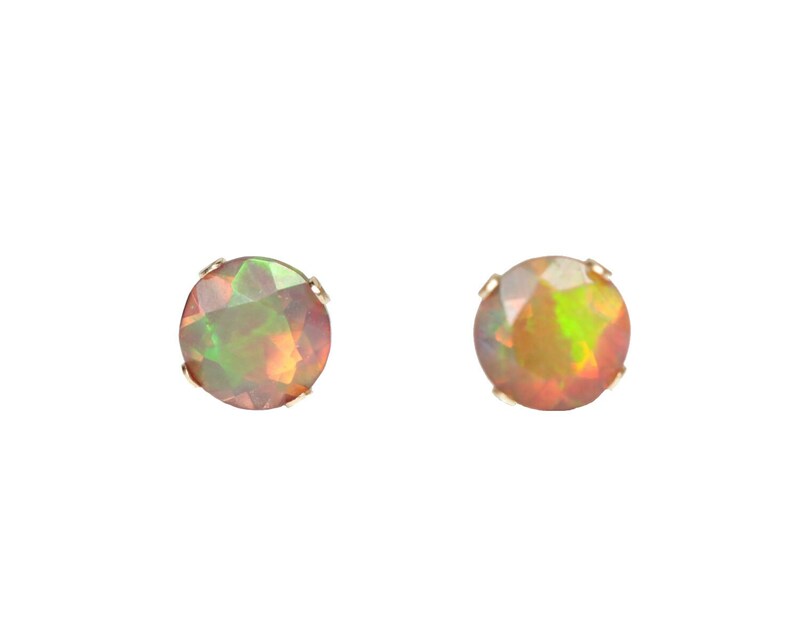 The faceted all natural Ethiopian gemstones read transparent with red-green color play. 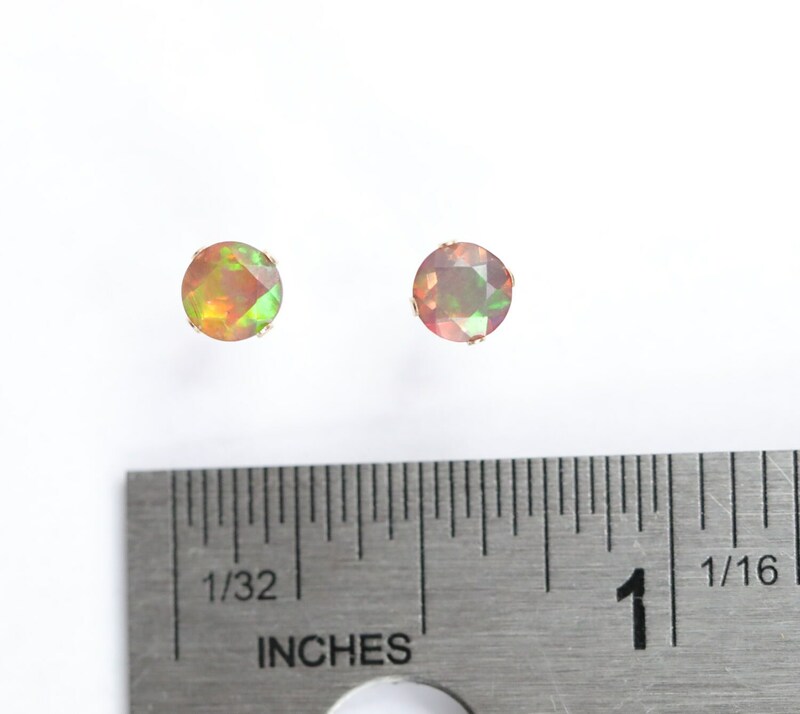 Please clean your opals with a microfiber cloth.